For the 76st edition since its very beginning in 1914, the Montreal Auto Show is back with more attractions than ever to fuel the passion of car enthusiasts. With close to 30 Canadian premieres and even some North-American debuts, the Montreal Auto Show is the best place to admire all of the industry’s new vehicles under one roof. This year, the emphasis will be put on electric vehicles in the Generator, a section of the Montreal Auto Show that presents the new technologies in regards to the automotive electrification. In addition to the latest green technologies and a varied list of exhibitors including Equiterre, Hydro-Quebec and ChargeHub, the Generator is also a collective brainstorm about the future of mobility. Also related to electric vehicles, visitors of the Montreal Auto Show will be able to test-drive more than 10 electrified models thanks to the road tests organized in collaboration with CAA-Quebec. Visitors will get the opportunity to get behind the wheel of the 2019 Hyundai Kona Electric, one of the most anticipated models of the year. The Montreal Auto Show is 500 vehicles spread out over more than 360,000 square feet. Each year, approximately 200,000 people head down to the Palais des congrès to get their automotive fix, from exotics to mainstream cars. From the Nissan Micra to the Bugatti Chiron as well as the Honda Civic and Ford F-150 in between, there’s something for everyone at the Show. In addition to all the aforementioned attractions, visitors of the Montreal Auto Show will have the chance to win a 2019 Mitsubishi Eclipse Cross SE valued at more than $30,000. 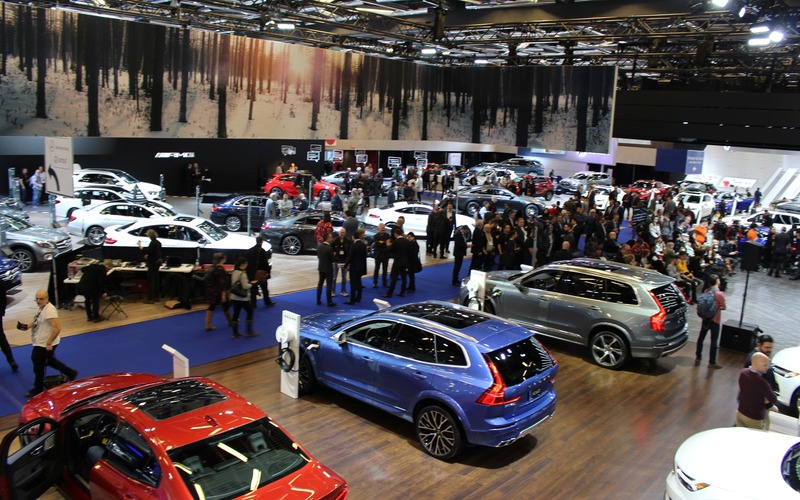 The Montreal Auto Show is held from January 18 to 27! After launching the 2019 Kia Forte sedan , the Korean manufacturer has just revealed the five-door Forte5 variant at a private event in Montreal. An interesting move, since Canada is rarely the locale for the major unveiling of an all-new car. And yet, it’s might not be unusual at all.